Our web design services focus on cutting edge real estate technology. Emphasis is given to very lean search engine friendly code and markup, properly formed URL structure, content accessibility, conversion and high end graphics and presentation. 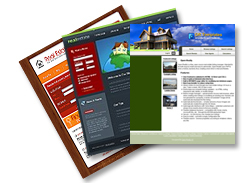 For real estate agents new to the business with low start up capital, we offer very robust template websites. Open Realty UK are a company focused on collaborative, client driven web development and graphic design solutions specifically for the Estate Agency Rental Agents, Holiday Owners Sector. Apart from delivering aesthetically pleasing websites, Open Realty UK strive to stay on the cutting edge of technology whilst providing all the necessary functionality for users. Everything we create is easy to use from the perspective of a client visiting your website to the manageability of the backend system for your staff. This solution saves you Time & Money by automatically sending all your property data from your website to the major property portals, i.e. Rightmove, Find a Property, Primelocation.